Wizz Air, one of Europe’s fastest-growing airlines and a leading low-cost carrier celebrated a major milestone on Thursday with its 10th anniversary of operations in Ukraine. The airline marked the birthday by the allocation of a third Airbus A320 aircraft at its Kyiv base and the commencement of 4 new exciting routes from Kyiv to Lisbon, Tallinn and Berlin and from Kharkiv to Katowice. Along with the new services, the airline is increasing the weekly frequencies to seven popular destinations from Ukraine, adding in total 24 additional weekly flights. As the pioneer of affordable travel in Ukraine, Wizz Air has created in the past 10 years new travel opportunities for its customers constantly expanding its low-fare network. Since its first international flight from Kyiv to London Luton in 2008, the airline has carried over 6.1 million passengers from and to Ukraine. 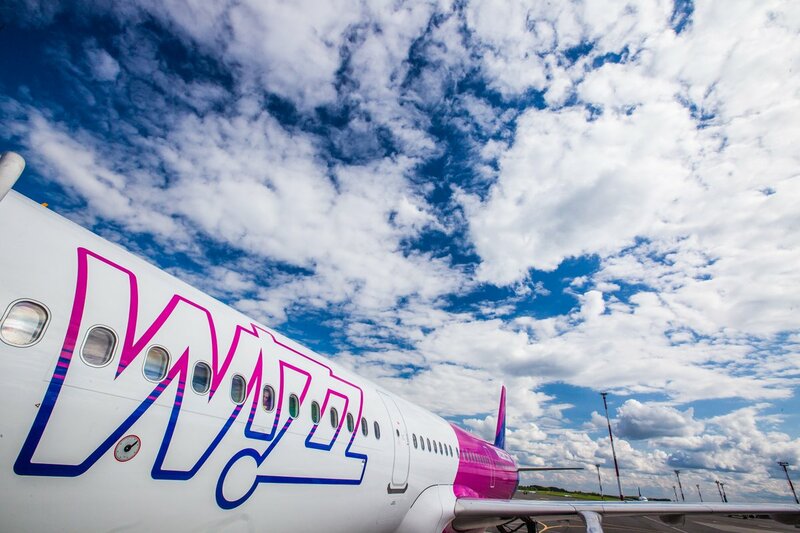 Responding to the increasing demand for WIZZ services and low fares, the airline recently started operations from its third Ukrainian airport, Kharkiv. Expanding its low-fare network across the country, this year, 11 new routes are introduced to the Ukrainian network, including the flights from Kyiv and Kharkiv to Vienna that will commence in autumn. In 2018, Wizz Air will provide more than 1.67 million seats on Ukrainian routes, doubled compared to the previous year, with an extensive offer of 33 routes to 11 European countries, with ticket fares available from as little as UAH 269*. WIZZ’s local base operations from Kyiv have also been increased with a third modern Airbus A320 aircraft joining the local fleet, bringing the total investment to over $300 million**, and employing a local team of more than 100 aviation professionals. The airline’s operations continue to provide Ukrainian passengers affordable travel opportunities from Ukraine with the rest of Europe, while contributing to the development of the local community and economy and stimulating the local job market in aviation and tourism sectors.